If your recipe is published here or in print, you relinquish any rights to monetary compensation. Your only rewards will be the knowledge that you have helped others, and possibly international renown as a great chef! Each recipe displays the Bowes & Church's Food Values of Portions Commonly Used by Jean A. T. Pennington. Pound turkey cutlets to 1/4-inch thickness. Spread cutlets with 2 tablespoons mustard; coating both sides. Generously coat both sides with ground nuts. Cook cutlets in margarine or butter in skillet over medium heat for 4 to 5 minutes or until done, turning once. Remove to serving platter. Keep warm. Heat remaining 2 tablespoons mustard, chicken broth and lemon juice in same skillet to a boil. Reduce heat; simmer 1 minute, stirring constantly. 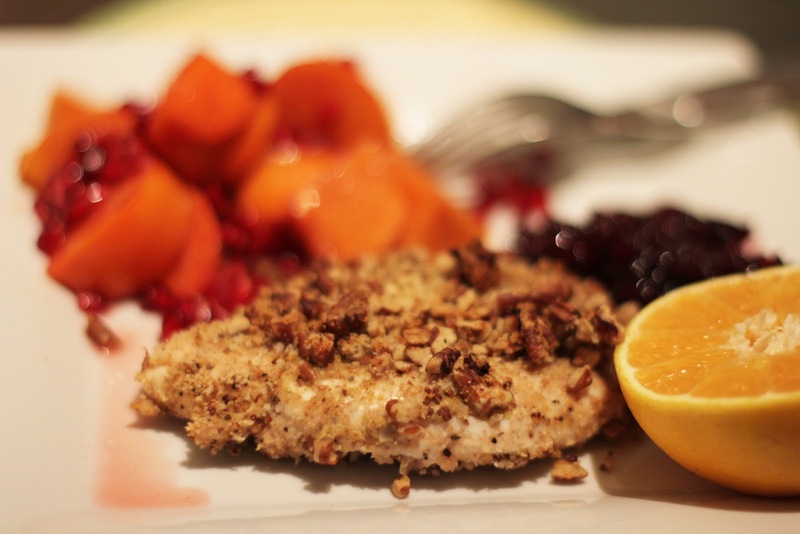 Serve warm sauce over turkey cutlets. Fry sausage links until done. Set aside. Mix all other ingredients together to form a smooth batter. Bake on hot, greased griddle. Makes 6 pancakes. 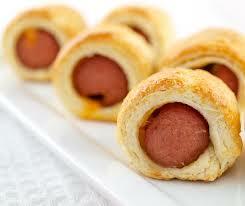 Roll each sausage link in a pancake and serve. Preheat oven to 350 degrees Farenheit. Use a bit of the butter and soy flour to lightly grease and flour an 8-inch souffle dish. Heat remaining butter in a saute pan and saute zucchini slices, onion, and garlic until zucchini becomes translucent. Put sauteed mixture into food processor and pulse to mince. Pour into a large bowl and add the rest of the soy flour and all remaining ingredients except the eggs. In a separate bowl, beat egg yolks until frothy. Blend into the mixture. In a separate bowl, beat egg whites into soft peaks. 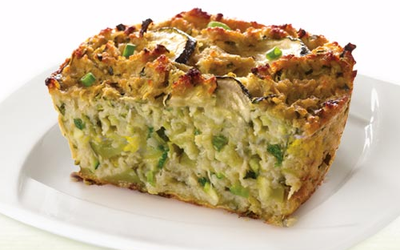 Carefully fold into the zucchini mixture and pour mixture into prepared souffle dish. Bake for 30-40 minutes, until top is light to golden brown.